How can I stay informed about my child's studies and school events? Can my child eat lunch and/or breakfast at Ruth Fisher? At what time should my child arrive and depart Ruth Fisher? What is the dress code at Ruth Fisher? What books or supplies does my child need? What are the guidelines for cell phones and pagers? In addition to updating this website often, we communicate school activities, with notes and calendars to parents on a regular basis. Students take notices home to their family. We support and encourage open communication between your home and our teachers. However, we request that parents/guardians do not call the classroom during the instructional hours. Parents/guardians may call the office and leave a message for the teacher, or you may email the teacher directly. You'll find contact information for our teachers and staff on our Staff page. All Ruth Fisher teachers check email regularly. Please feel free to communicate to your child’s teacher via email with any questions or comments. We welcome and encourage parental involvement. If you wish to volunteer, please contact your child’s teacher for specific dates and times. When you arrive at Ruth Fisher to visit or volunteer, please sign in at the school office where we will issue you a visitor or volunteer badge and provide any special instructions. Your participation sets a wonderful example for our students. We appreciate your interest and involvement. Parent/teacher conferences provide an opportunity to discuss your child’s progress and unique needs with his or her teacher. We encourage you to work with the teacher in finding the best way to meet your child’s personality and learning style. 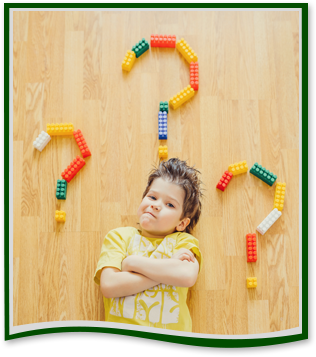 Consider preparing a list of questions and comments regarding your child’s progress. You will receive notification of scheduled conference dates via student notices and our school calendar. You may also contact your child's teacher to schedule an appointment whenever you feel the need. Involved parents make a big difference, and we welcome your interest and participation. Yes, the cafeteria serves breakfast and lunch daily. We serve delicious and nutritious meals for our students and guests. Parents, we ask that you check in at the school office before joining your child for lunch. For more information, please call the food service office at (623) 474.5234, or visit our district's Food Services page for meal prices and an updated menu. Students who do not ride the bus should arrive at school no sooner than thirty minutes before school starts and should leave the school grounds immediately after dismissal, unless they’re taking part in an organized after-school activity and have parent permission. Absences and tardiness disrupt learning and can slow or even prevent your child's success. Please do your best to schedule doctor, dentist, and other appointments during off-school hours. If an absence is unavoidable, please call the school attendance clerk as soon as possible. If we do not receive a call by 9:30 a.m., the attendance clerk may call to inquire about the student's status. If we are unable to reach you by phone, your student should present a note, signed by the parent, to the office that states the date and specific reason for the absence. We believe that our students' appearance is an important part of the learning environment. We encourage our students to avoid any potentially distracting or harmful clothing and accessories. Some common infractions include, but are not limited to, revealing tops or bottoms and flip-flops. Boys often receive notice of sagging pants and inappropriate t-shirts. We provide all textbooks and supplies to our students at no cost. Ruth Fisher students are responsible for the care of their textbooks and supplies. We greatly appreciate donations of classroom supplies such as pencils, paper, and notebooks. If your child needs to take any medication during the school day, please complete a Medication Release Form in the school office. We do not dispense medication, including Tylenol, at school without a written order from a physician or parent. We request that students keep medicine in the school nurse's office, in the original prescription container, with the student's name on it. Students cannot keep their own medication at school. The nurse will call your child out of class when it is time to administer the approved medication. We will notify you if your child becomes ill at school. The best place for an ill child is at home in the care of an adult. The school nurse does not diagnose illnesses. If your child is ill or injured, please consult a doctor before sending your child to school. Students may carry cell phones while at school. However, Ruth Fisher students may not use their cell phones during the school day. To help ensure that phones do not create a distraction, students must report to the school office to make any emergency calls.